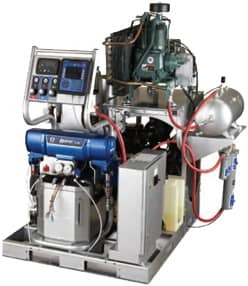 Plural Component Spray Equipment & Mixing Equipment | Spray Quip, Inc.
Spray-Quip is one of largest distributors of world-class plural component spray foam systems & equipment, from manufacturers like Graco, ITW, Nordson and more. We provide spray foam pumps and spray application equipment that is compatible with all commonly used protective coatings. This includes alkyds, waterborne, urethanes and the newest 100% solids, VOC compliant coatings. Our spray equipment provides flexibility, as it is built to handle many diverse materials of differing viscosities and mix ratios for applications that include: fire proofing, insulation, sealant/adhesive dispensing, or corrosion resistance. Our spray systems are designed to use only the materials you need and to minimize or eliminate the need for solvents used in the clean up or flushing. All mixing and dispensing is performed automatically. This on-ratio mixing assures material integrity and maximum performance characteristics. The efficient use of plural component materials has enabled many of our customers to achieve higher transfer efficiency, reduced material waste and disposal, and a quick return on their capital investment. At Spray-Quip, we provide custom, turn-key systems tailored to your specific production demands. Our units require no special tools for their operation or servicing and your personnel can quickly learn how to operate, inspect and maintain the equipment. Our systems are constructed of heavy-duty, dependable components, and can be designed for in-plant or portable use. Our hundreds of customers range from the lone contractor to Fortune 500 companies, with each receiving the best solution for their particular needs.